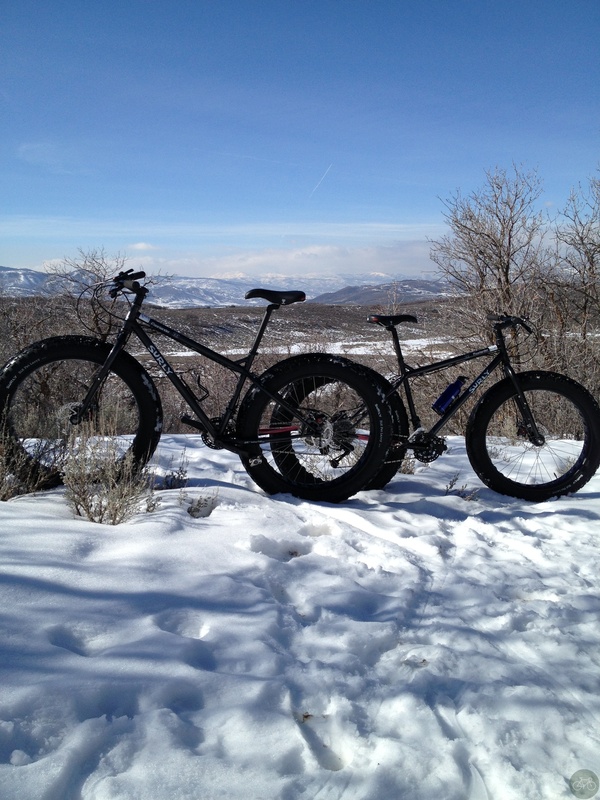 Finished our Snow Biking adventures in Park City yesterday on Surly Moonlanders. White Pine Touring provided the bike and guide HD. We rode the bike path from the shop to Owens Valley. 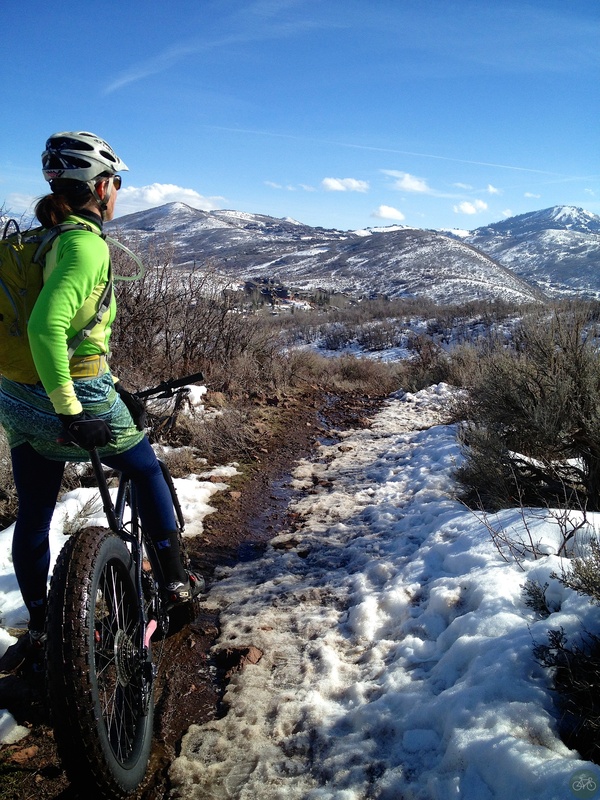 Plowed through soft snow and muddy single track, took some photos, and rode back. 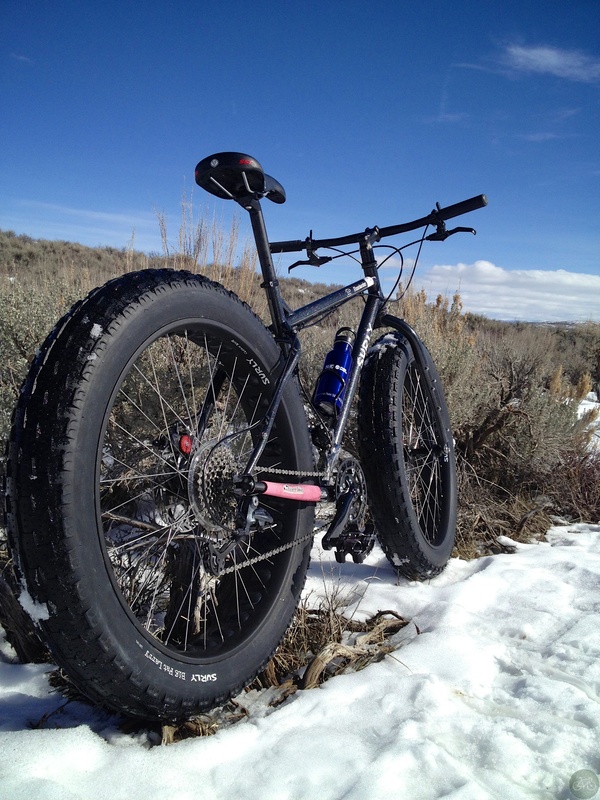 Moonlander was fun, like all fat bikes, and still think the Fatbacks have the best geo and ride. At times, riding ahead of me, HD had the clean lines and would wash out the trail leaving me sputtering to a stop. On the descents, we steered with our butts, letting the front float and applying brakes when needed. For my take on Snow Biking and Fat Bikes, see the Wired feature and Snow Bike tag.